Why exactly does the University of Debrecen’s Senate feel that Vladimir Putin’s activities as a politician are so exemplary, that they merit such an award? The decision has more to do with the highly controversial Russian expansion of the Paks nuclear power plant in south-central Hungary, which generates more than 50% of the country’s power. According to a 2014 agreement between Hungary’s Orbán government and Rosatom, the State Atomic Energy Corporation will be in charge of expanding Paks, financed through a ten billion euro line of credit also provided by Russia. The European Commission gave the project the green light to proceed with the construction of two new reactors, the first of which will be completed by 2023. The total project is expected to cost an estimated 12 billion euros. The Fidesz-dominated parliament has classified all documents pertaining to the Russian expansion of Paks for 30 years, something that Greenpeace and other environmental groups believe is cause for concern. Organizations such as Hungary’s Energia Klub have also suggested that an expanded Paks can be an important target for terrorists who are looking to strike at Europe. The group referred to multiple incidents in Pakistan, where between 2007 and 2008 terrorist attacks were attempted on three occasions, against nuclear power plants. Additionally, the transportation of nuclear material and waste, the fact that Hungary awarded the contract without an open tender and the involvement of a foreign state in Central Europe’s energy sector, which will have the effect of skewing the regional market, are all concerns. Austria, in particular, has expressed its strong reservations. The University of Debrecen, however, is proceeding to honour President Putin. The university’s rector, Zoltán Szilvássy, was in Moscow in July and he signed an agreement with Russia’s Rosatom. According to this contract, bilateral seminars, research projects, the production of educational material and student exchanges will all proceed between Russia and the University over the coming years. Additionally, the University of Debrecen will play a lead role in the training of specialists who will work at Paks in the future. In its press release, the University of Debrecen highlighted that Mr. Putin has served as president of the Russian Federation from 2000 to 2008, then as prime minister from 2008 to 2012, and then again as president from 2012 to the present day. The press release may make reference to Mr. Putin’s political longevity, but avoids delving into the nature of Mr. Putin’s rule. That, of course, is understandable within the context of such an announcement. Had the University of Debrecen been concerned about authoritarianism in Russia, the decimation of the opposition, the imprisonment of activists and journalists, they might have thought twice before bestowing this award on the Russian president. 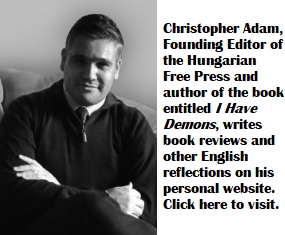 Gyoegy Habsburg deserved it just as little-Red Cross a biased organization – while the Jews in Auschwitz had nothing to eat – they had lunch with the Nazis and grinned to the hungry prisoners.. The reason why the Senate of the University of Debrecen bestowed this award on Putin is, that they have not read Karen Dawisha’s book. (Putin’s Kleptocracy. New York. Simon and Schuster. 2014.) But then again, it’s almost impossible to get a hold of it in Hungary, let alone in this dusty, provincial town, which is headed by Lajos Kósa, a close friend of the pro-Putin Hungarian PM. All that is known by the Rector and the Mayor is, that if they are nice to the Russian Kleptocrat, he can drop a few rubles from his purse, and make everyone radiate with not only uranium, but joy. Licking the boots of the powerful, especially in a dusty town, carries some benefits. Hm. All the brutality and bloodshed of a half century considered as never happened. Now, all of the sudden ,the issue of human rights suppose to be in the forefront. The matter of up-dating the power plant at Paks is stricktly a technical and economic matter. Dealing with any western firm would likely run into technical dificultis, due that it is a Russian (Soviet) built reactor. Hungary saves on the costs and even on the financing. So, the hell with your beloved commerade Putin, it benefits the people of Hungary. Hurray to that. By the way, is your ego and Soros’ goal more important ? I want to hear that ! But keep your insults !!! What has Putting/Russia done for Hungary? A very probable scenario is Paks later producing expensive energy it can’t sell. It’s criminal to commit to this old technology six years earlier than necessary, particularity when the energy sector is in a great flux and a pilot cold fusion plant is being built. 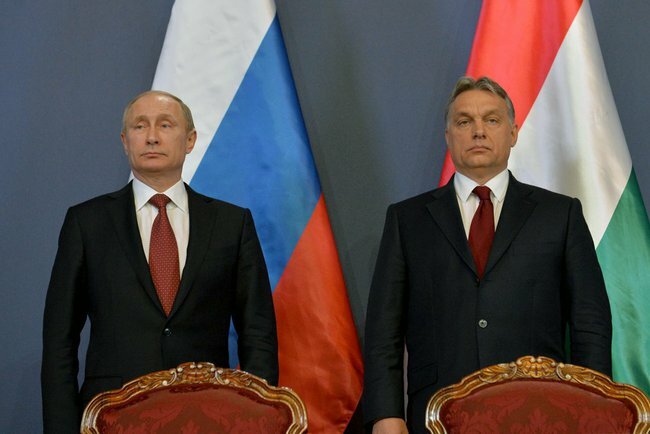 Pingback: Is Hungary already in the Russian sphere of influence? I cannot help but find it humorous that the argument of terror threats is invoked to oppose this project. I think it is humorous, because it is likely to be invoked by the exact same people who invoke importing terrorism into Hungary and Europe as an obvious indirect side-effect of cheering on the mass-colonization of the continent with masses of migrants from the ME & Africa. I would think that it would make more sense to oppose that trend, rather than oppose industrial development. Putin didn’t bother receiving the Phd.h.c. award, not even in Budapest; perhaps sometime next spring, it was reported. Ludwig etc. You win “troll of the moment” prize. If you apply yourself diligently to the type of pursuit you have exhibited above, you may indeed live on to become your own grandmother. Just think what fun that would be.